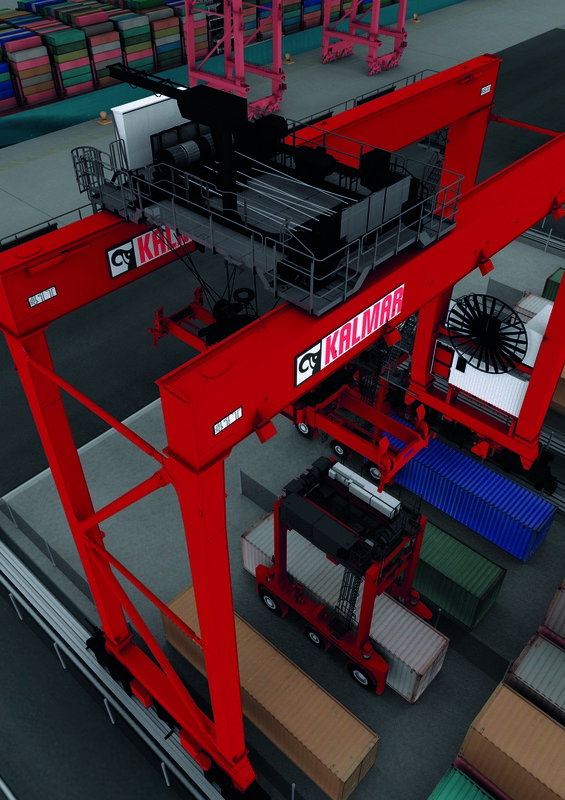 Kalmar, part of Cargotec, has introduced its next generation automatic stacking crane (ASC) system at the TOC Europe exhibition in Rotterdam. Featuring future-proof technology, it is the most efficient and productive ASC system ever. By enabling smooth and fast automation deployment, it allows terminals to deliver high throughput as well as a predictable and reliable performance. 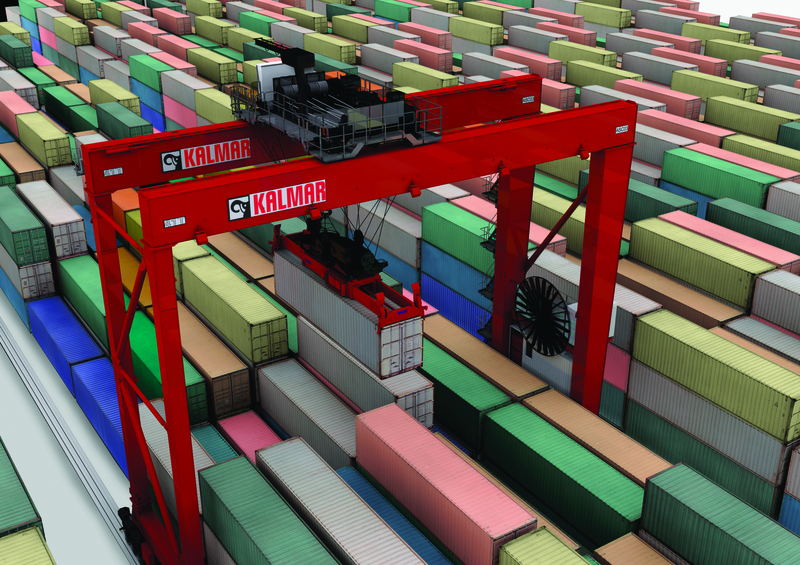 At the heart of the new ASC system is the Kalmar 5th generation automatic stacking crane. The crane has an optimised lightweight structure with a -10% weight reduction compared to previous generation, which decreases energy consumption and offers savings in operational costs. Maintenance access, ergonomics and usability have been significantly improved, with a single-platform machinery trolley, segregated transformer house and a more spacious e-house. New AC drives that control IE2 class motors improve the energy efficiency, and also ensure spare parts availability throughout the future lifecycle of the system. The double drum hoist mechanisms with Max Stable rope reeving facilitates a more compact rope tower, whilst maintaining optimum stiffness for fast and accurate automated operation. PROFINET, the standard for time-critical industrial Ethernet, is used to reduce the number of components and the amount of cabling required, thus increasing reliability and overall productivity of the entire crane. Optimised terminal performance can be realised with end-to-end automation solution consisting of automated truck handling on the landside, AutoShuttles(TM) as a horizontal transportation system on the quayside, and 5th generation Kalmar ASCs, all integrated by Kalmar TLS automation. Product innovations and upgrades continue to improve system efficiency for years to come. Development and testing of the ASC system have taken place at Kalmar's world-class Technology and Competence Centre in Tampere, Finland. The centre's engineering tools and system simulator speed up site commissioning time, and customers benefit from the value of the automation investment sooner as the system is fully tested and pre-integrated before the ground works start at the site. "With our latest investment finalised by 2016, we will have a complete end-to-end ASC automation system in-house, featuring the new 5th generation ASC crane. This unique testing setup is expected to cut core system integration time by at least 20 percent," says Raimo Ukkonen, Vice President, ASCs, Kalmar. The first 5th generation ASCs will be delivered to TraPac Inc. terminal in Los Angeles, USA. For more information about next generation Kalmar ASC system, please visit Kalmar at stand B40 at TOC Europe or go to website www.kalmarglobal.com/asc.